The Divisional Cavalry Regiment was the first amoured regiment formed in New Zealand during the war. Despatched overseas in three echelons the second was diverted to England and assisted in its defence during the Battle of Britain. It rejoined the Regiment in 1941 and the whole regiment (along with the 2nd Division) was sent to Greece, fighting there and in Crete before returning to Egypt. It took part in Operation Crusader in November/December 1941 after which the New Zealand Division was sent to Syria. 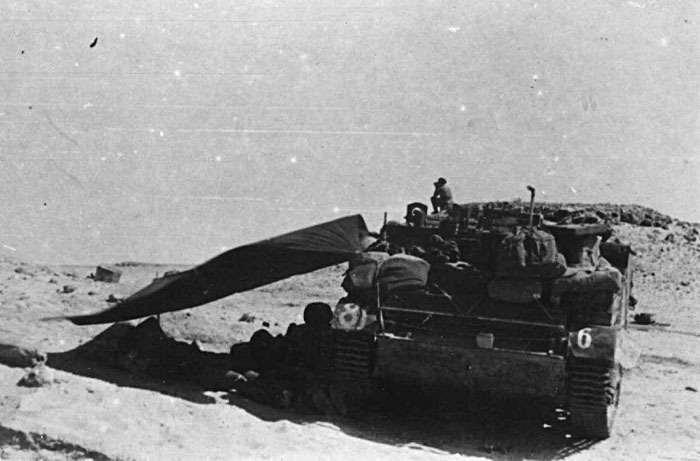 It returned to Egypt in 1942 in time for the First Battle of Alamein and fought with the 8th Army until the final surrender of Axis troops in Tunisia. 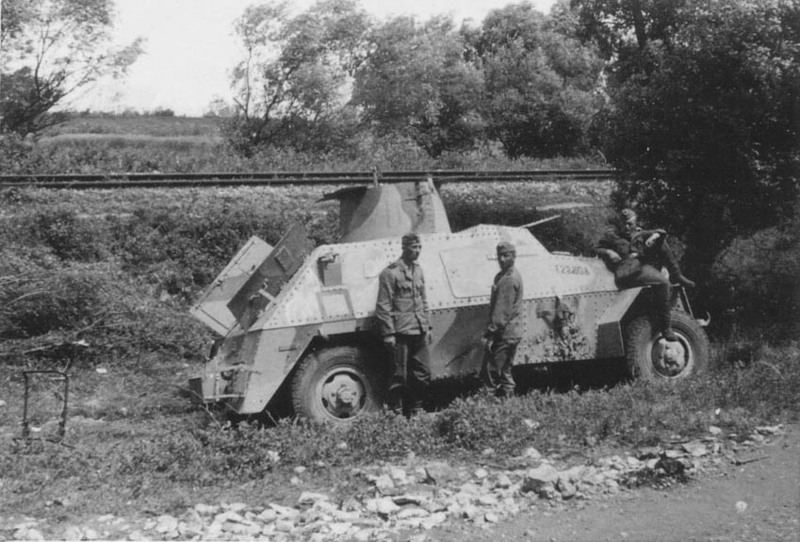 In 1943 it was reconstituted as an amoured car unit with Staghounds fighting largely with these in Italy from 1943-45 before being turned into an infantry unit for the final battles on the Adriatic Coast. Squadron insignia is carried on the hull side. NEW!!!! A second shot of the scene above NEW!!!! 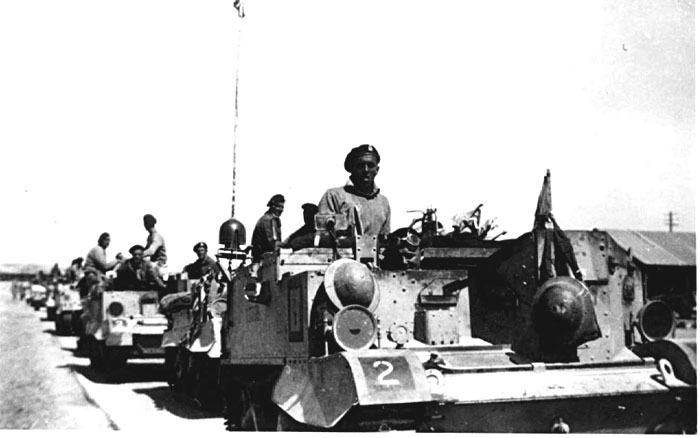 A Universal Carrier of the Divisional Cavalry at Maadi Camp in Egypt in 1940/41. It carries the unit serial 2 in black square on the driver's trackguard cover and the silver fern insignia of the 2nd NZ Division on the other. The B Squadron square is on the side and inside it the letter 1, presumably indicating first troop, the colour is unknown but believed to be black. 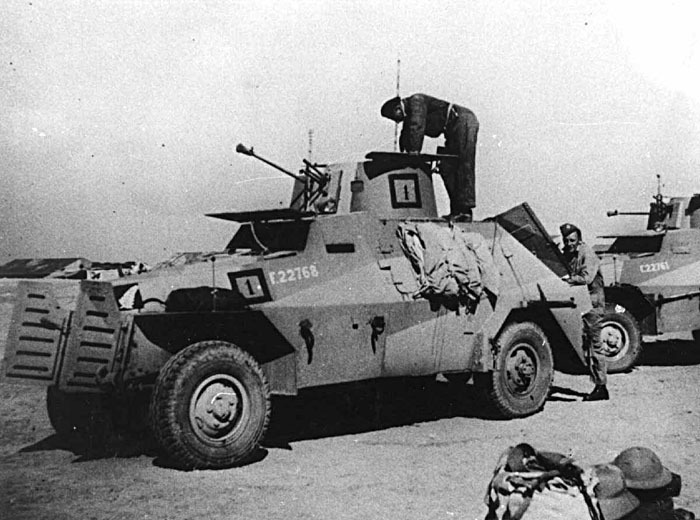 A Marmon-Herrington Mk 2 of the Divisional Cavalry at Maadi Camp during preparations for its despatch to Greece. At this stage it is in the standard desert scheme of sand, dark earth and dull-blue. The divisional insignia is carried on the hull side behind the radiator doors and the B Squadron insignia and troop number are found on both the turret and hull sides. A Universal Carrier of the Divisional Cavalry in the Western Desert in 1941. By this stage the regimental serial number was 81 and this Carrier has this on the driver's side trackguard cover and a troop or vehicle number on the other. 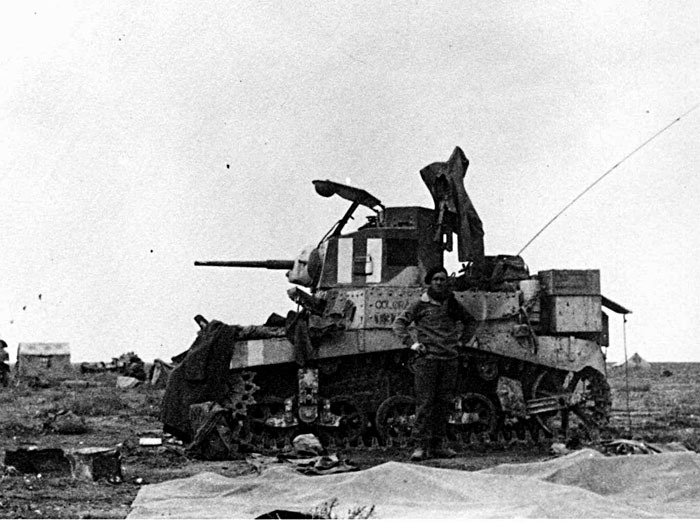 One of the Stuarts recaptured from the Afrika Korps at Sidi Rezegh and handed over to the Divisional Cavalry, now in use outside Bardia. 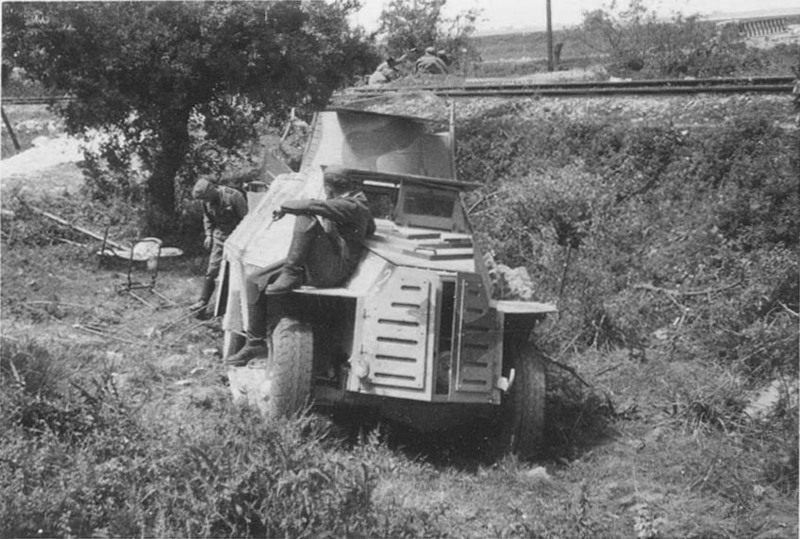 It is still in its original camouflage scheme of sand, dark earth and dull-blue, complete with RAC colours on the turret and sand shields. Its name is "Colorado". 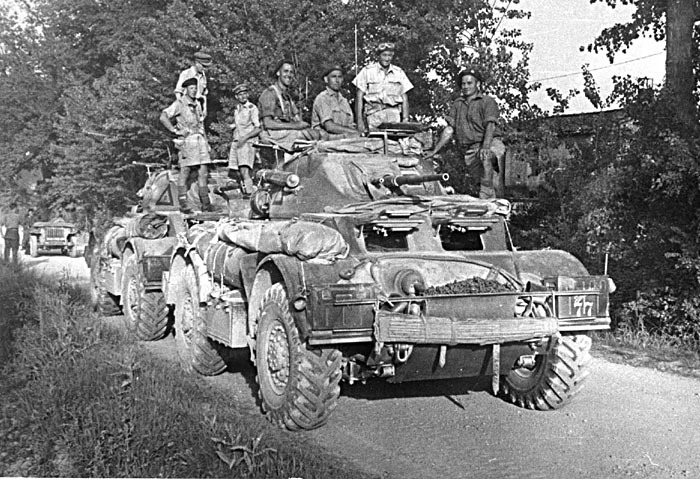 A Staghound of A Squadron of the Divisional Cavalry in Italy in 1943/4. The tac sign is now the combination one of the unit serial number below the divisional insignia and carried on the driver's side. The colours for the unit serial were green over blue.